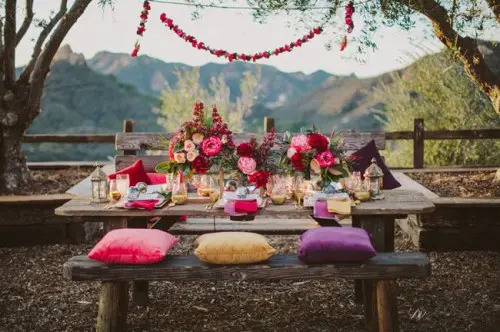 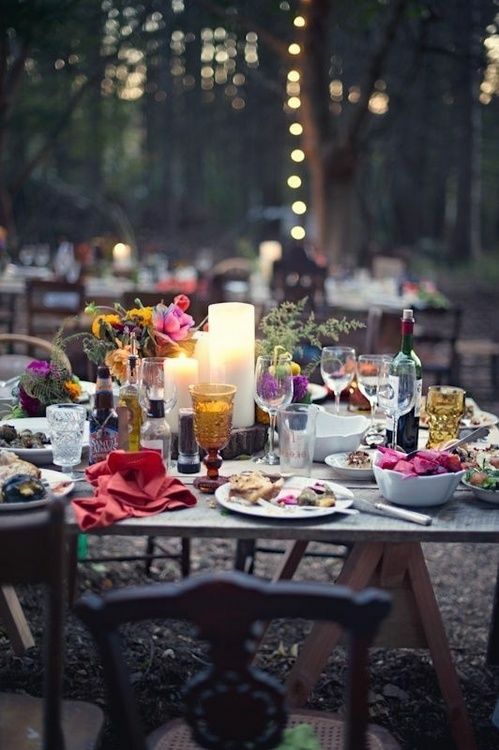 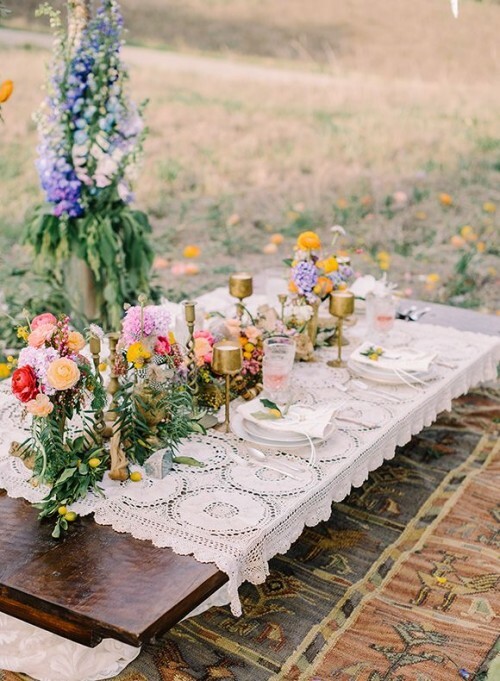 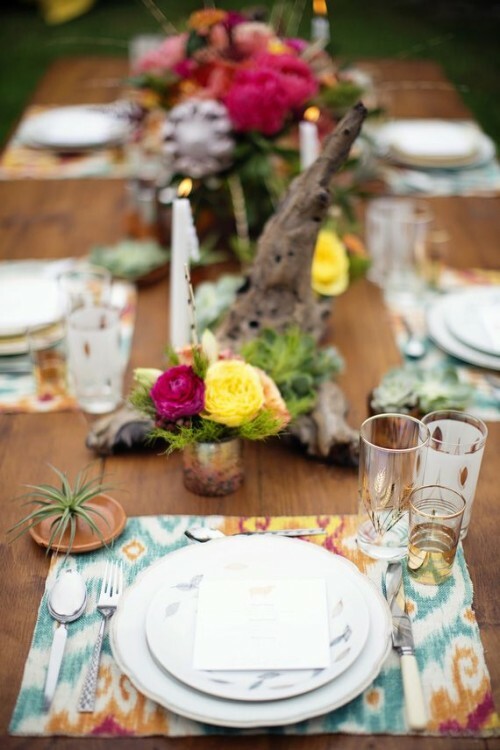 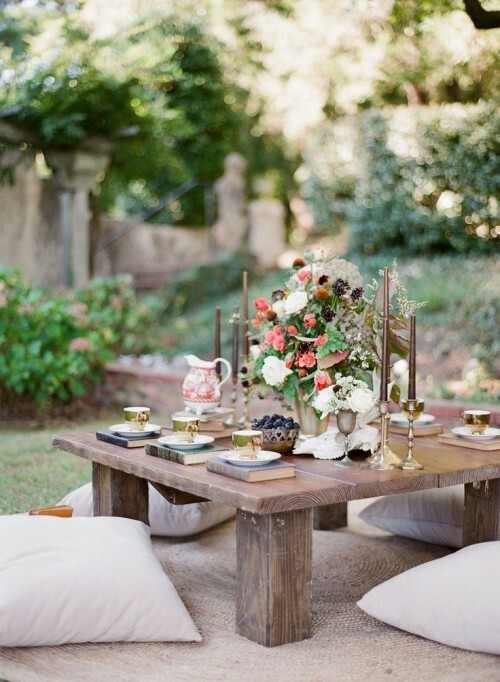 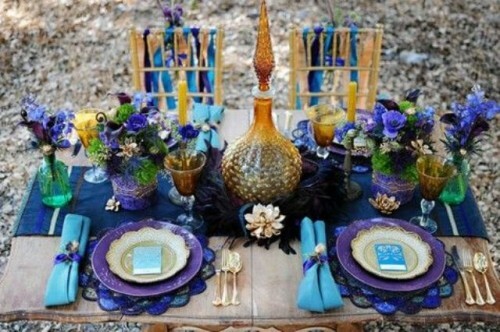 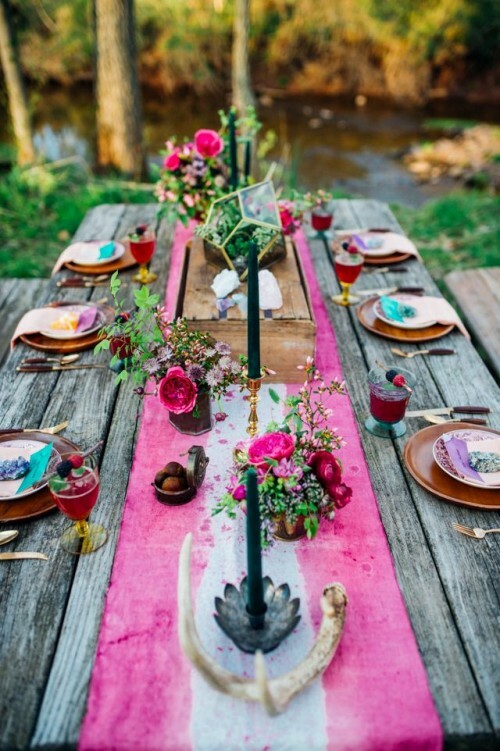 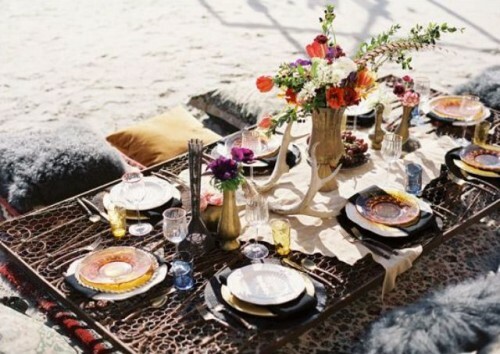 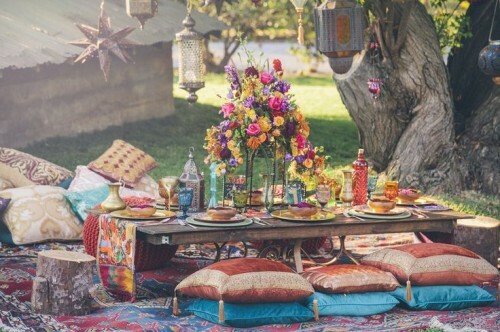 Bohemian style is amazing for spring, summer and fall weddings, it’s colorful, relaxed and amusing. 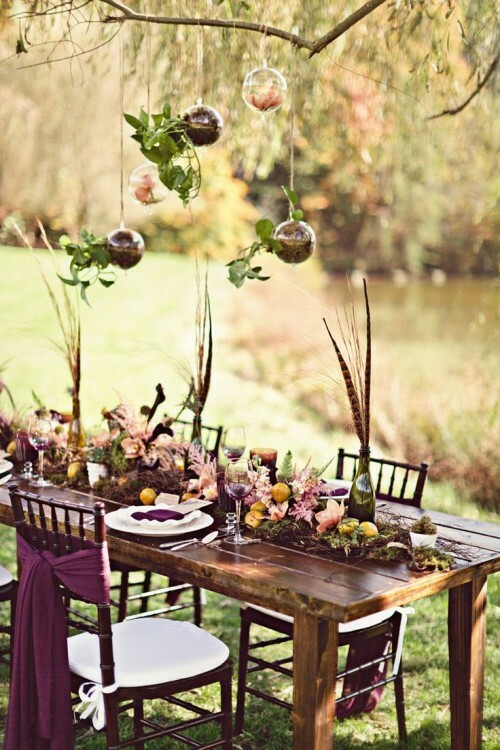 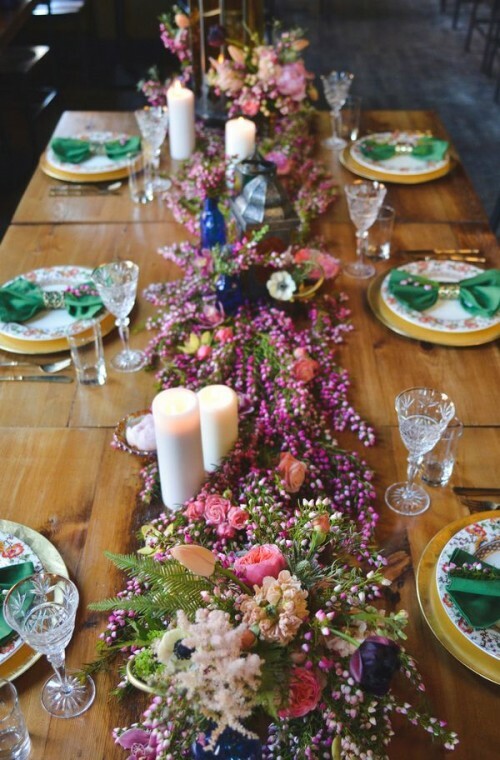 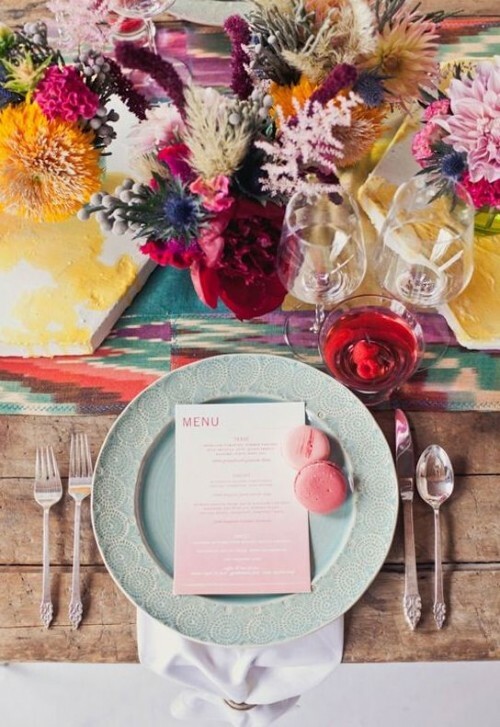 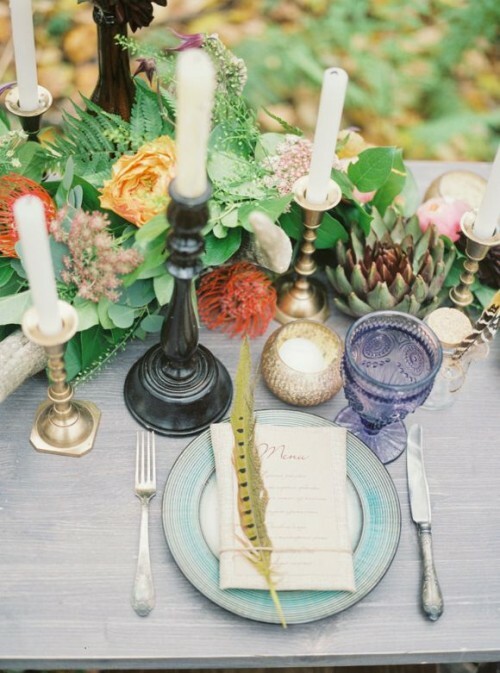 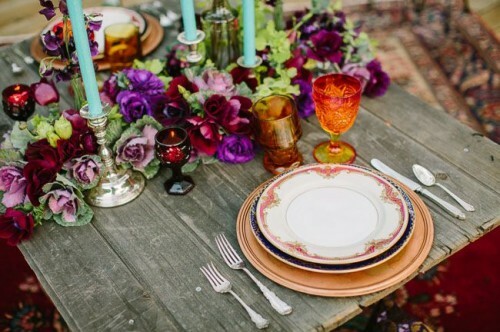 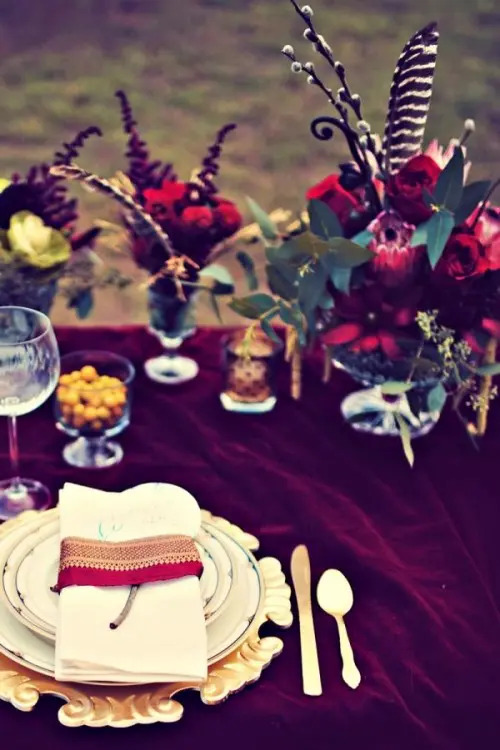 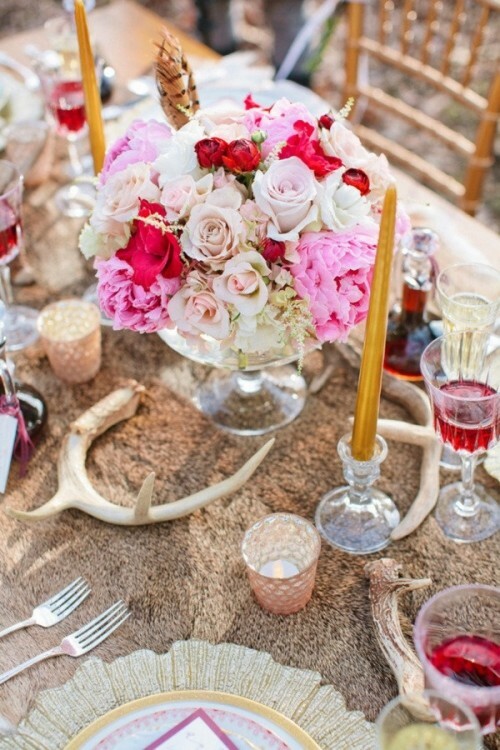 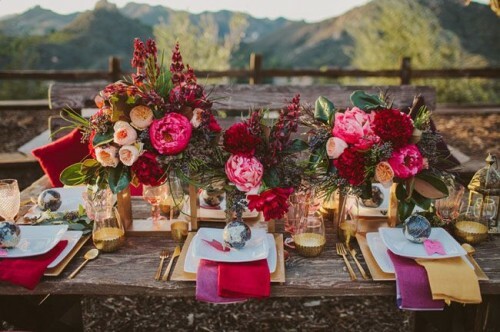 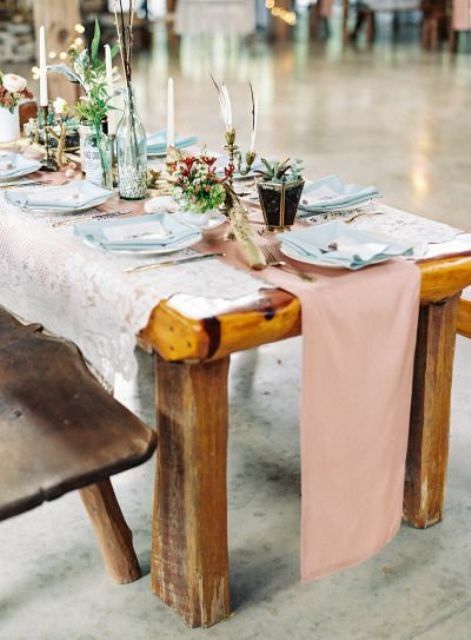 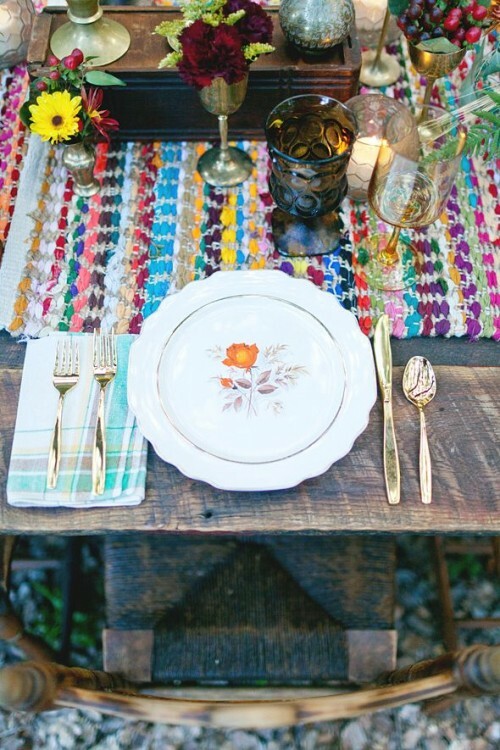 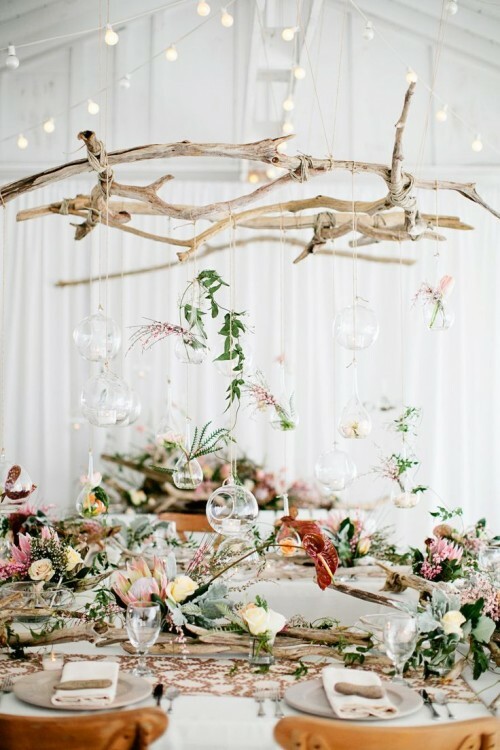 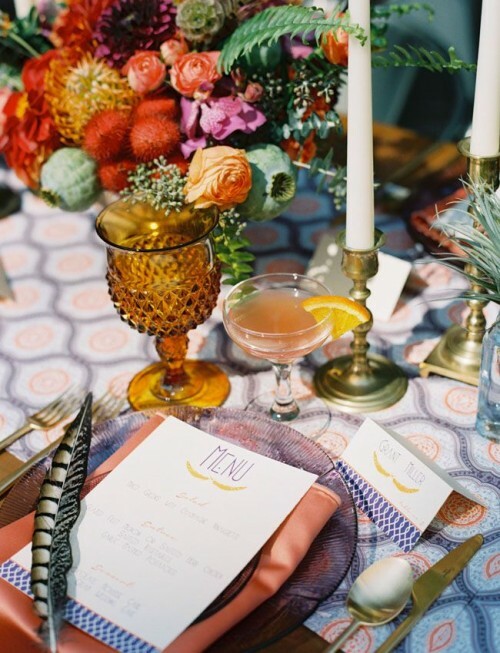 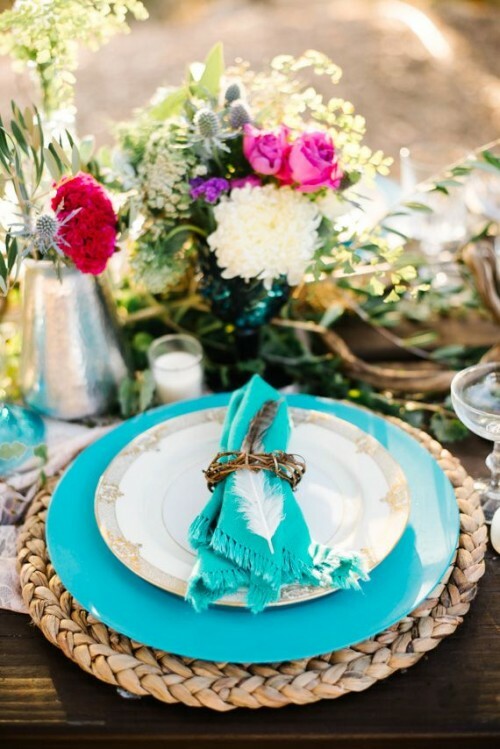 How can you apply this style to your wedding table décor? 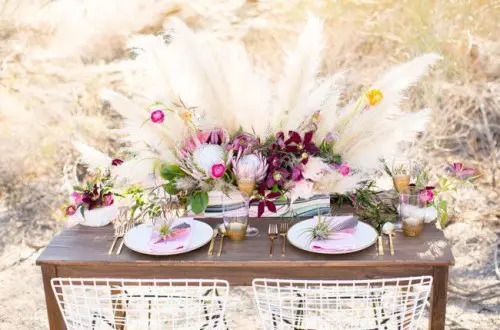 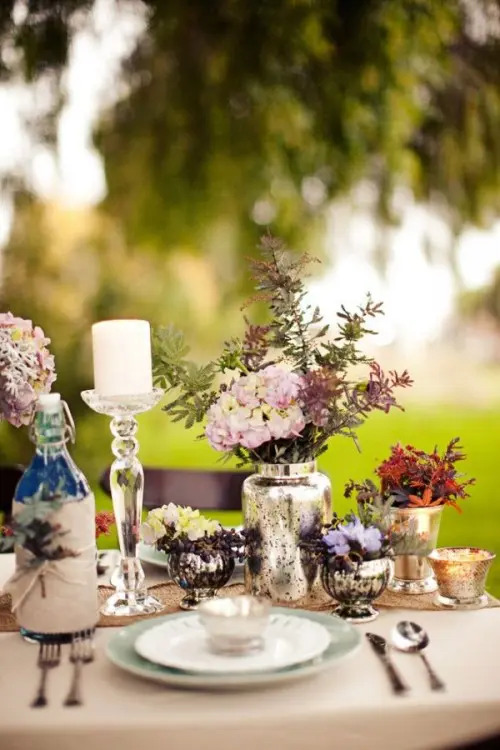 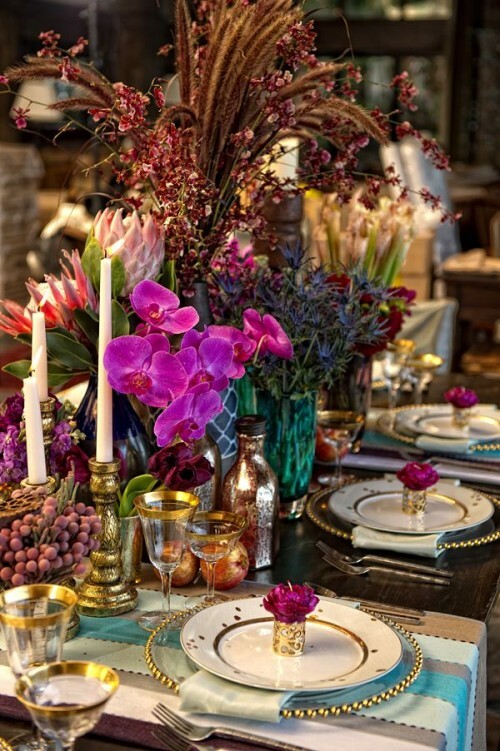 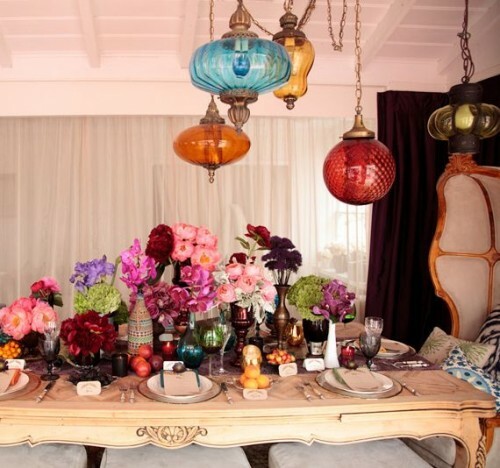 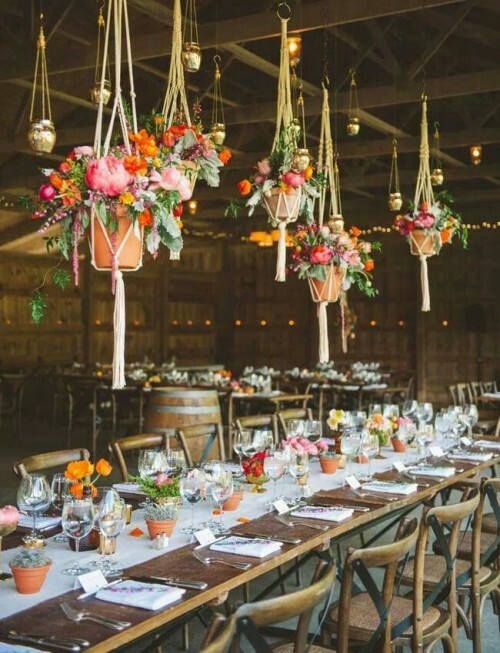 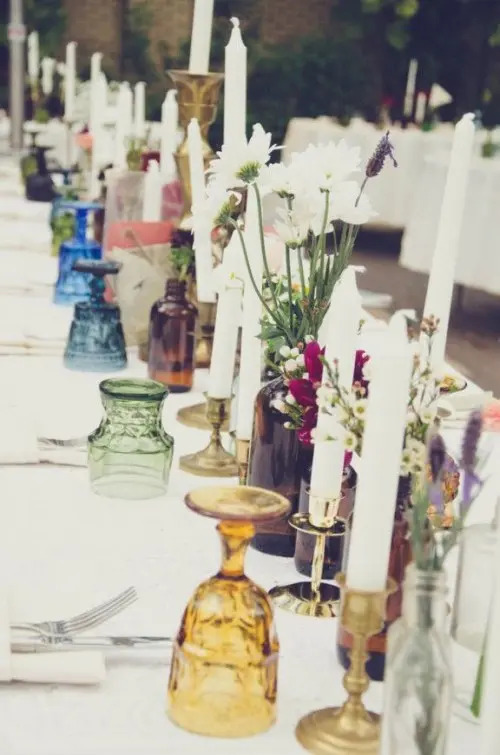 Let’s start from centerpieces: mix various colorful bottles as vases and lots and lots of flowers and feather to achieve that special boho charm. 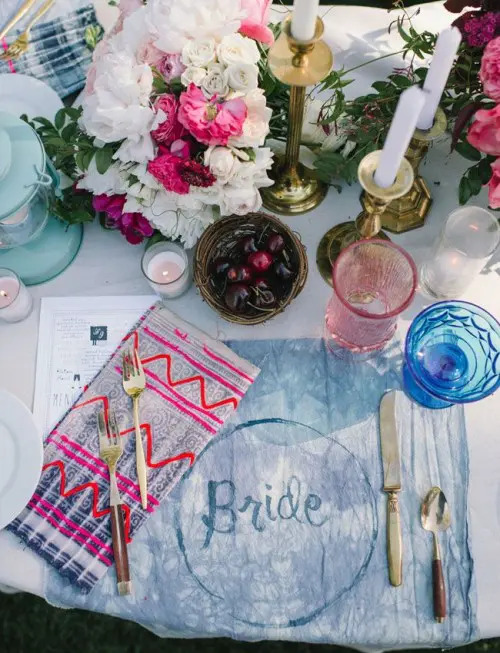 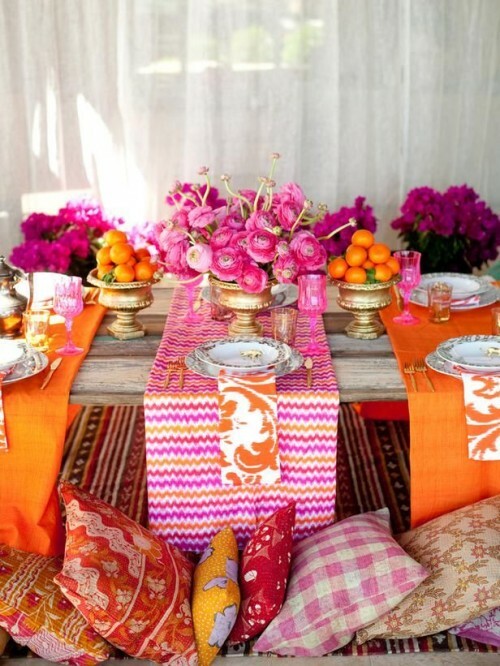 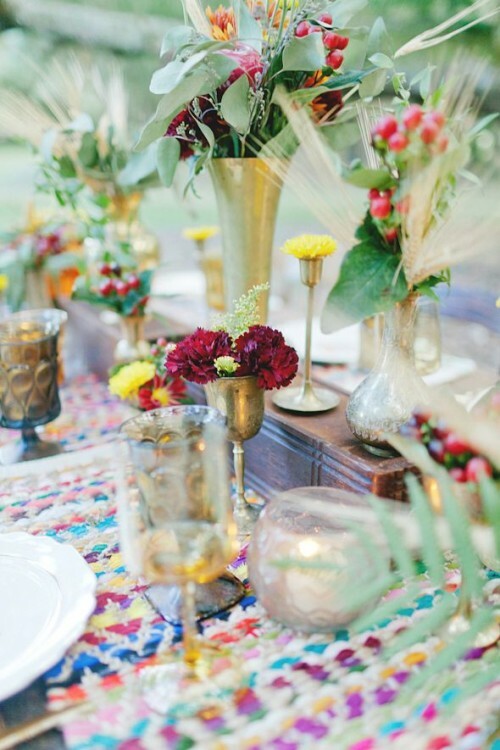 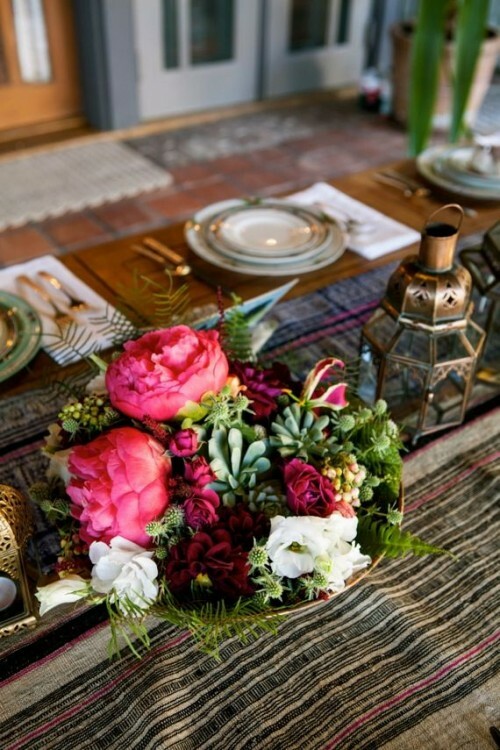 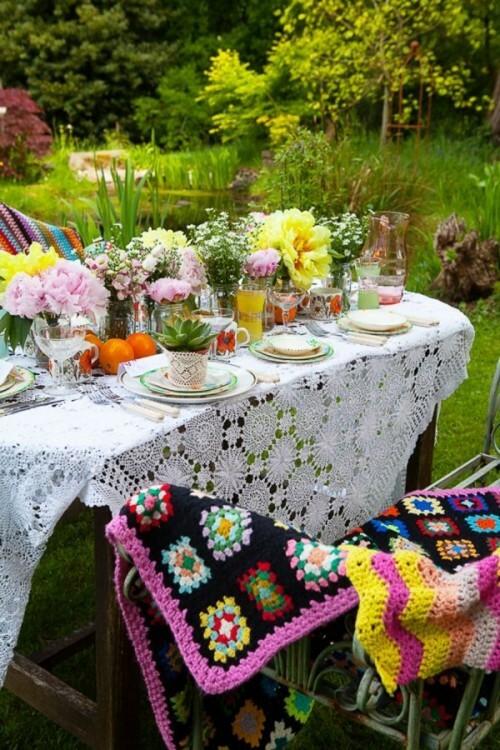 Bright folk-, gypsy- and Morocco-inspired table runners and placemats are right what you need for a bohemian atmosphere. 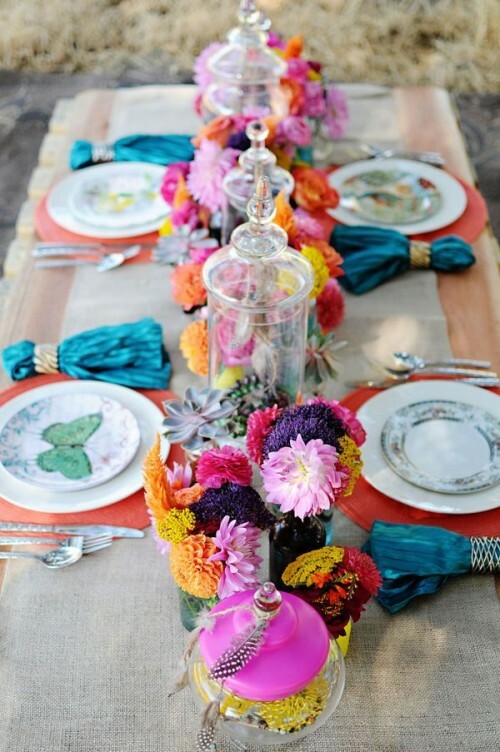 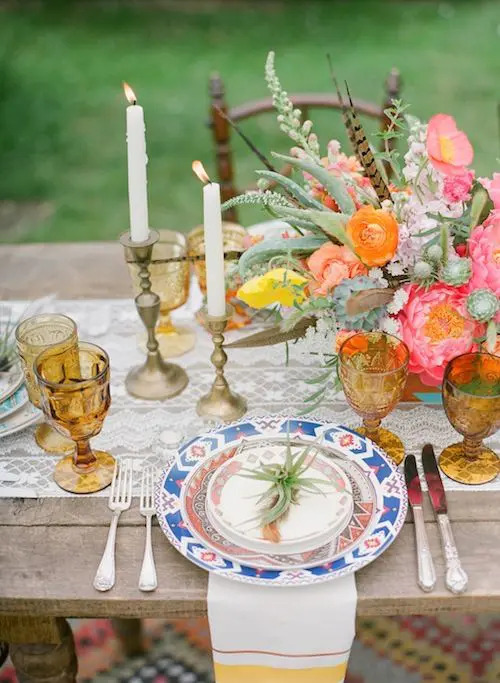 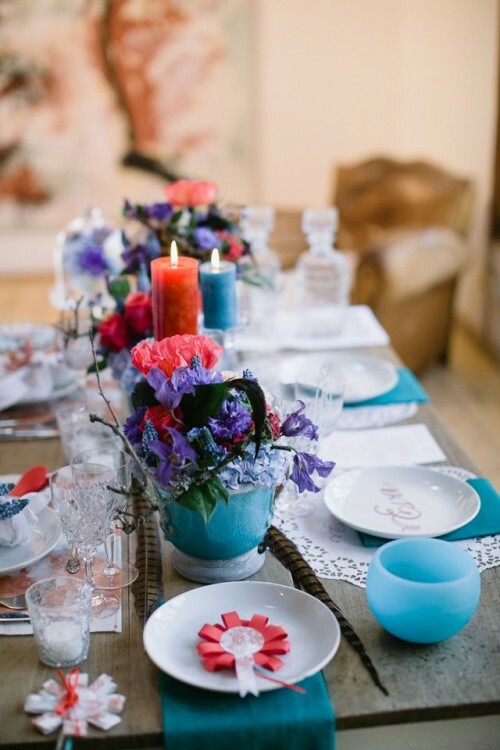 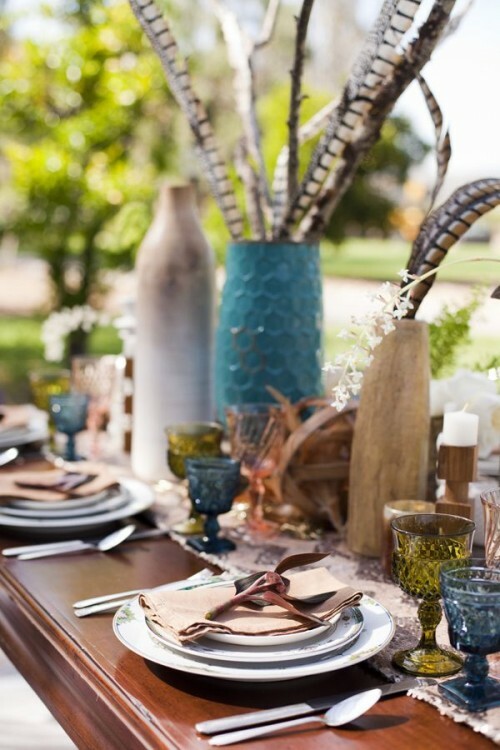 Colorful tableware and glasses are a cool continuation of your boho décor. 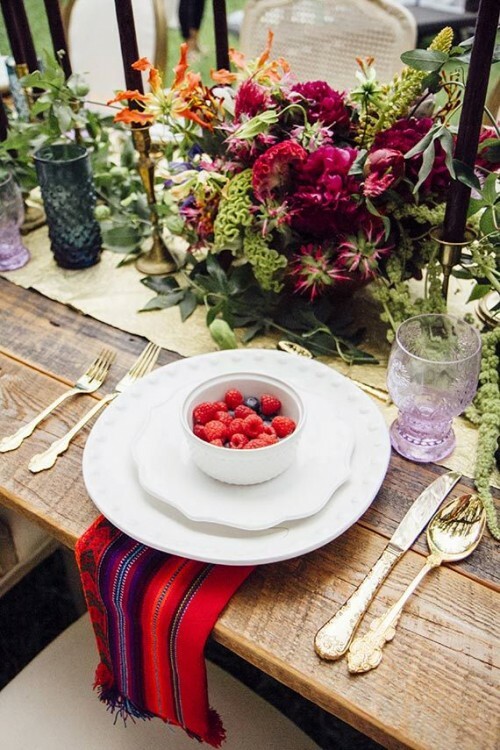 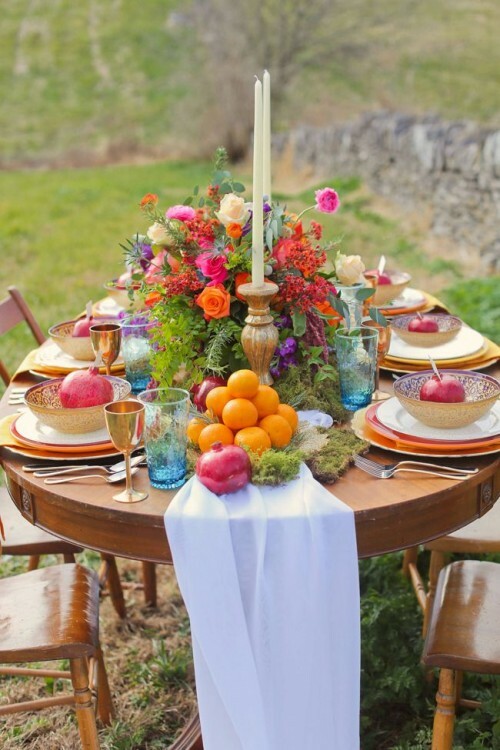 Fruit and berries can easily become one more decoration for your table, so bright and fun! 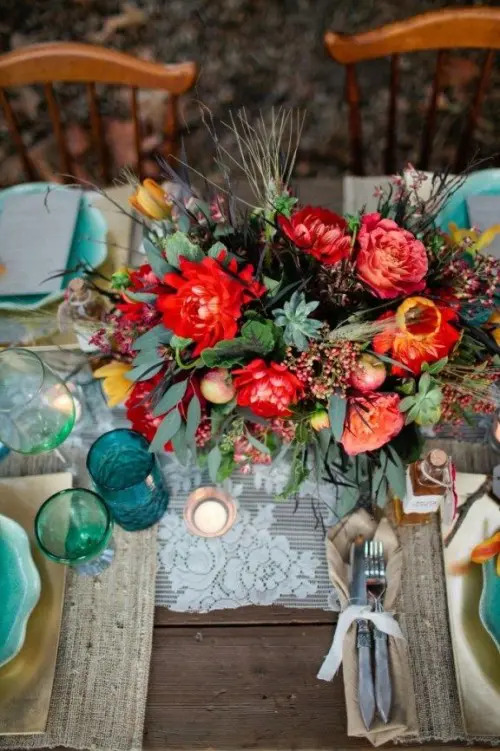 Get inspiration from our faves below!